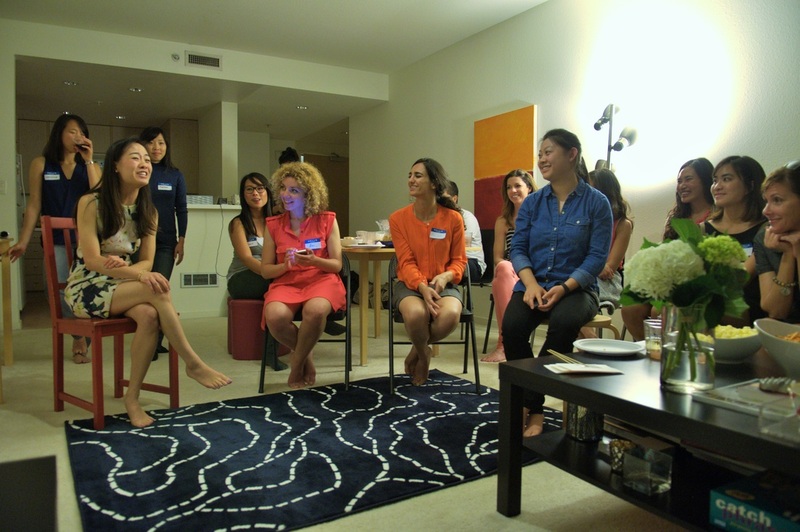 One of the first Lessons Learned events held at Wes' former apartment in San Francisco. WK is on the far left in the red chair, probably telling a knock-knock joke when this photo was taken. Lessons Learned is a lightning storytelling event series founded by Wes Kao. The purpose of the event is to build a culture where ambitious women share our best advice with one another. LL was inspired by the idea of peer mentorship, that it's valuable to learn from those in the trenches with you. Stories are memorable and personal, and thus more likely to be applied when a fellow woman leader encounters a similar situation. Sharing hard-earned lessons can be an impactful tool for leveling the playing field. Our past speakers include women from Apple, Gap Inc, Bank of America, UCSF, Sharethrough, Deutsche Bank, eBay, 23andMe, Aspire Public Schools, New York City Ballet, Percolate, Swarovski, Del Monte, and more. Wes is a marketer based in New York City. She is currently the director of Seth Godin's altMBA, focusing on growth strategy, operations, and product. You can reach her at wes@weskao.com. PS Check out photos from our Lessons Learned x Abernathy event on the topic of race, privilege, and identity. From time to time, we'll co-host events with great organizations. If you're interested in partnering, feel free to reach out.